"I’m going to ask all 100 senators to come to the floor and be against infanticide. This shouldn’t be complicated," Sasse said last week. 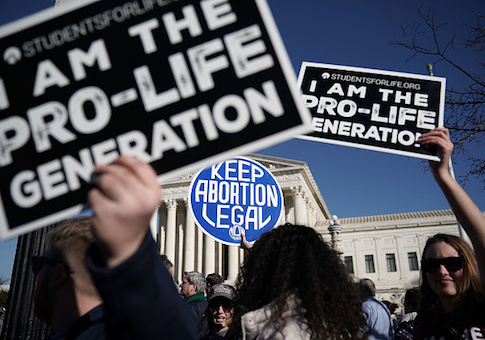 "You’re either for babies or you’re defending infanticide," Sasse said prior to Monday's vote. "We have laws against infanticide in this country," Murray said. "This is a gross misinterpretation of the actual language of the bill that is being asked to be considered and therefore, I object." Sen. Josh Hawley (R., Mo.) was one of several Republicans who spoke on the Senate floor in support of the measure. Sasse's bill would punish doctors with up to five years in prison if they do not offer medical care to infants born alive after an abortion. Babies born alive in abortion clinics would also have to be transferred to a hospital. "[Senators] need to show what side they're on," Sasse said last week. "It's a pretty simple question: are you on the side of these vulnerable little babies, or are you on the side of Gov. Northam and his defense of infanticide?" Last week, Virginia Democrats tried to pass a bill in the state legislature that would have expanded a woman's ability to obtain an abortion through the end of the third trimester of pregnancy. Democratic Del. Kathy Tran admitted the bill would allow an abortion right before birth. While discussing the bill in a radio interview, Gov. Ralph Northam (D., Va.) said doctors should not necessary have to provide treatment to babies who survive abortion. "The infant would be delivered. The infant would be kept comfortable," Northam said. "The infant would be resuscitated if that's what the mother and the family desired, and then a discussion would ensue between the physicians and mother." Northam later said his comments were taken out of context, claiming his comments were meant to defend the right of women to obtain an abortion when facing "difficult circumstances" like nonviable pregnancies or severe fetal abnormalities. This entry was posted in Politics and tagged Abortion, Ben Sasse, Ralph Northam, Virginia. Bookmark the permalink.